I realized I haven’t posted many recipes lately – partly because I haven’t been cooking or trying out any cool recipes as much as I should be. What can I say? It’s summer time! 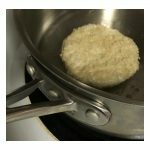 So in order to get a little more consistent with my recipe postings, I’ve decided to join in on the Tasty Tuesday movement and share at least 1 delicious recipe with you all every Tuesday. If you get a chance to try any of these out, leave me a comment or drop a note to me on Facebook letting me know what you thought! Today, I’m sharing a really refreshing recipe perfect for these summer days. 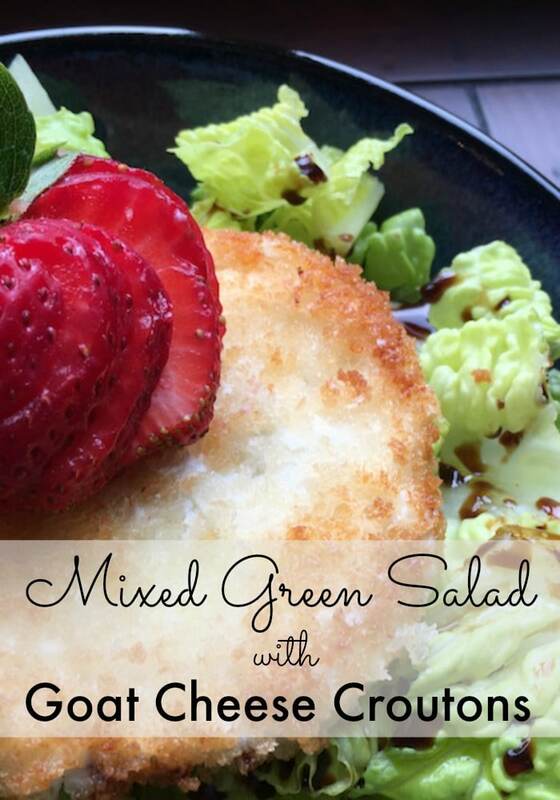 If you love goat cheese as much as I do, you’re sure to be a fan of this Mixed Green Salad with Warm Goat Cheese Croutons recipe. Of course, the warm goat cheese croutons are the main focal point. They are substantial enough on their own to pair perfectly with a basic bed of mixed greens topped with a light drizzle of good olive oil and aged balsamic vinegar. They provide just enough warmth and crunch to elevate this otherwise everyday combination to a special treat. So, if you get a chance to try it out, I’d love to hear your thoughts! Ahhhh! You had me at goat cheese crouton 🙂 This sounds and looks amazing! Wonderful recipe! My husband would love that salad. Warm goat cheese – while I have never had this type of cheese before, I can only imagine it’s gooeyness on a salad! Goat cheese is delicious! You’ve got to try it! I love salads especially during the summer and I always appreciate getting new recipes like this one! The goat cheese croutons sound amazing! This is definitely a keeper. Salad is love! I love to try this, can you give me some! Just kidding, I will try this. I definitely need to try this as a breakfast choice. It looks amazing and the recipe sounds like it would taste delicious. I’d love to try this. I am a big fan of salad to this is a must-try for me. I’m curious about how those taste. I really haven’t tried goat cheese much, but I’ll bet it gives a great flavor! This is such a unique twist on a salad! I never thought to use goat cheese croutons… Sounds like it would be good! Omg this salad looks amazing!!!!! I so need to give it a try!!! Goat cheese is sooo delicious!! I am sure this is amazing. I will try it and find out for myself! Ha. Mmm this looks tasty! Goat cheese too? Yes please! I cant remember having some goat cheese before and i wonder how it would make a difference in taste of the salad. One thing for sure though- i need to try to know.